February is National Dental Health Month, by virtue of Proclamation No. 559, s. 2004. WHEREAS, it is imperative that the week-long celebration should be extended to one (1) month to make it more significant to reach out more people especially in the countryside and make them more conscious about the value of good oral/dental health. 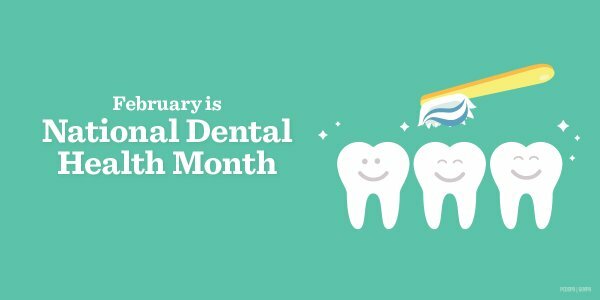 NOW, THEREFORE, I, GLORIA MACAPAGAL-ARROYO, President of the Republic of the Philippines, by virtue of the powers vested in me by law, do hereby declare the month of February of every year as National Dental Health Month. This supersedes Proclamation No. 236, series of 1951. DONE in the City of Manila, this 24th day of February, in the year of Our Lord, Two Thousand and Four.